Back to Manchester after it’s summer exodus, Sankeys returns with a slew of major line-ups to kick off the autumn/winter season. Long established as one of the key ambassadors of the UK and global clubbing scene, Sankeys has come from humble beginnings. Starting life as Sankeys Soap back in 1994, it has won a place in the hearts of clubbers all over the world for it’s gritty, no frills set up, placing the music and party revellers at the forefront of it’s agenda. As Sankeys Ibiza prepares itself for it’s last run of parties after another sell out season, Manchester prepares itself for the opening of another exciting new chapter. 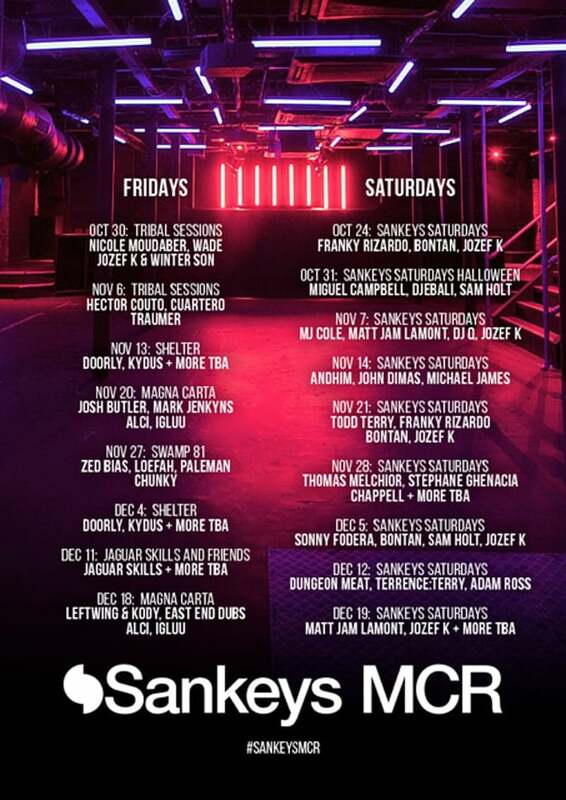 From Saturday the 24th October until Saturday the 19th of December, Sankeys Manchester announce Phase 1 of their line ups. The world famous Tribal Sessions returns to Sankeys. 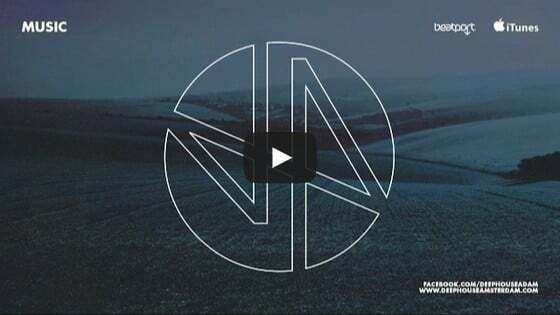 Originally born in 2000 from the legendary dance organisation Tribal Gathering, their ‘forward thinking music without prejudice’ policy is set to take the Sankeys Basement by storm once again with a loyal Tribal following. Taking over Friday 30th October will be the techno temptress Nicole Moudaber playing alongside Wade whose tracks have been championed by the likes of Luciano and Loco Dice. Joining them will be Jozef K and Winter Son with their live 808 + 909 set. 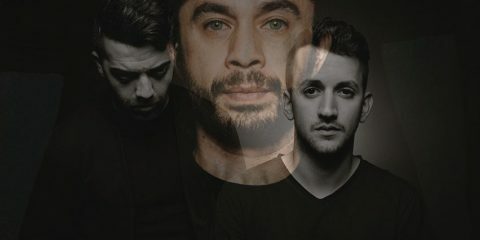 Then after that the truly underground, much loved party returns with Tribal Sessions favourites Hector Couto, Cuartero and Traumer who all play on November the 6th. Shelter returns to Sankeys for two special shows on Friday 13th November and 4th December. Shelter has been widely recognised as one of the stand out parties that made Sankeys Ibiza so special this summer. Coming home and offering headline sets will be Doorly and Kydus plus more exciting names to be announced. Acclaimed London and Ibiza tech house tastemakers Magna Carta also make two appearances. 20th November sees Sankeys favourites Josh Butler, Mark Jenkyns, Alci and Igluu holding down the legendary Basement. Magna Carta pull out the stops again on 18th December, inviting the London duo Leftwing & Kody down to play alongside East End Dubs, Alci and Igluu. The 27th November sees Sankeys welcome a very special Swamp 81 takeover with Garage House King Zed Bias and Dubstep inventor and label boss Loefah playing with bass lovers Paleman and Chunky. This one is sure to put the killer Sankeys Manchester sound system through its paces. Once you’ve had time to recover from this, the 11th December sees Sankeys play host to the turntable wizard that is Jaguar Skills who will play a genre busting show with a selection of his friends. Alongside all these mouth-watering events, every single Saturday will be taken over by ‘Sankeys Saturdays’ featuring the finest underground artists. Curated in house, these nights will offer up a selection of first-class house and techno sounds being lead by Defected’s Franky Rizardo and Bontan on October 24th, and a Halloween Special on October 31st with Miguel Campbell, Djebali and Sam Holt. 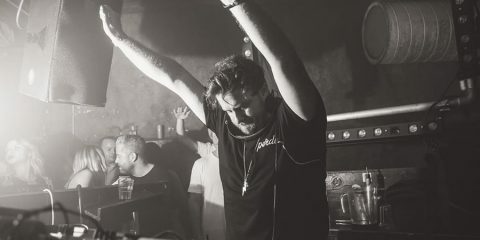 Joining the Sankeys Saturdays renegades will include artists such as Matt Jam Lamont, Andhim, DJ Q, Bontan, Thomas Melchior, Sonny Fodera, Dungeon Meat and Jozef K who will all take over the Basement week in, week out.